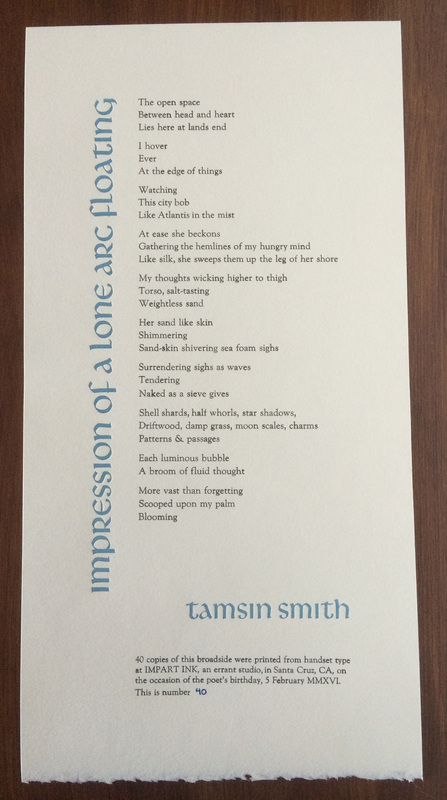 I’ve been (un)reasonably busy of late, but/and have done a few things in the press. 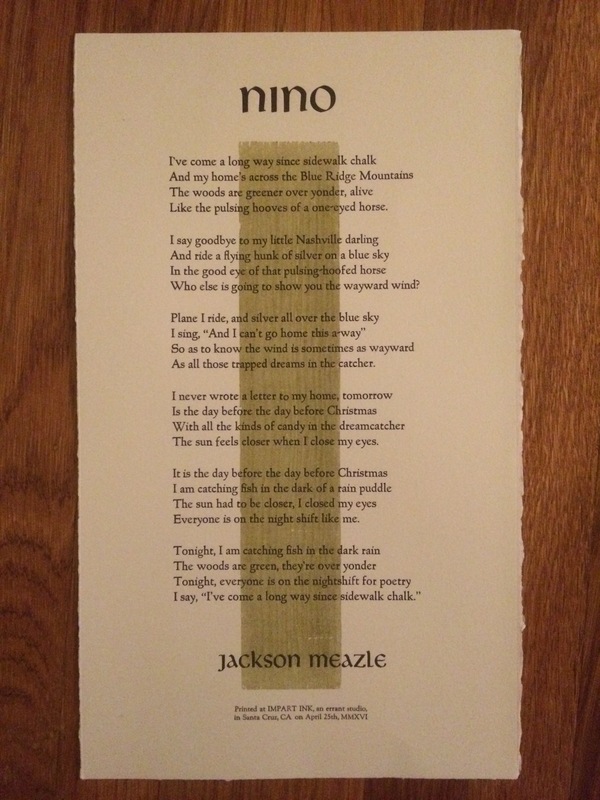 As a parting gift for Jackson Meazle, who has left our fair cities for some other, Southern clime, I printed this broadside of a poem for his grandmother. 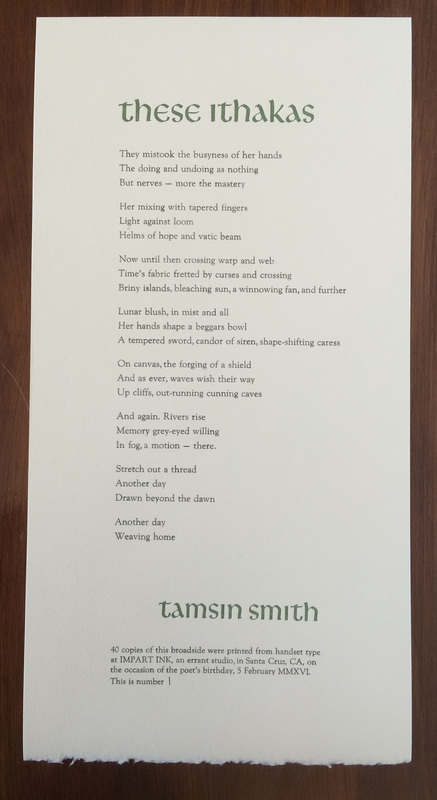 I also printed a pair of broadsides, commissioned by Matt Gonzalez, to celebrate the birthday of Tamsin Smith, the first in two color schemes, the second in one. 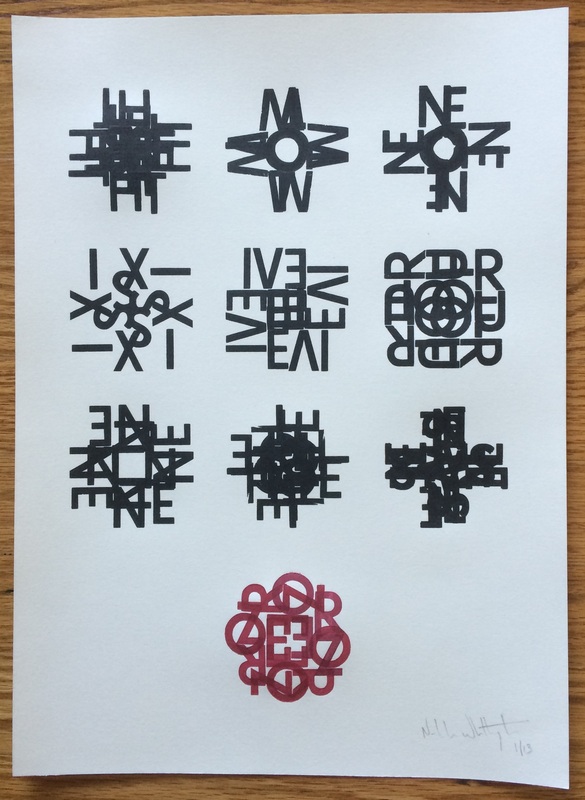 Also, recently completed, are a couple/few small books. 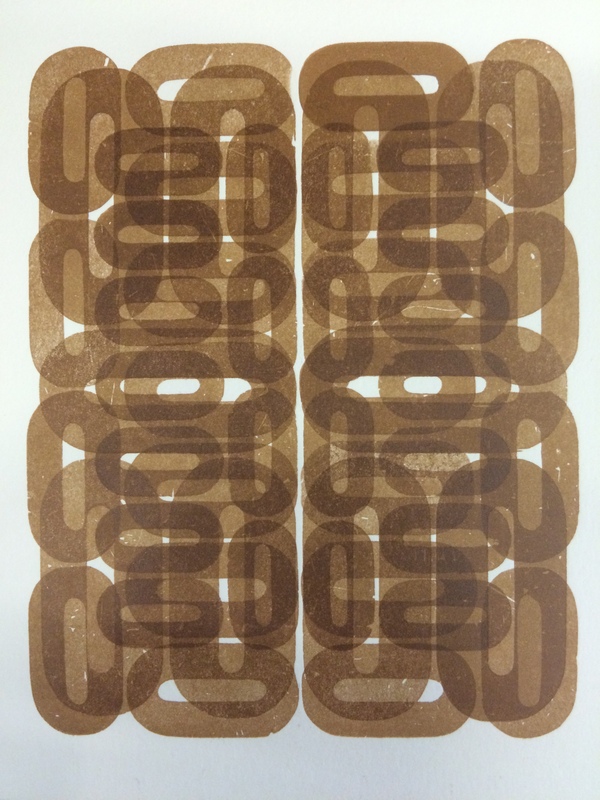 The layered sepia design here serves as the back cover for a little book of poems Jason Morris and I wrote on a recent camping trip to Death Valley. 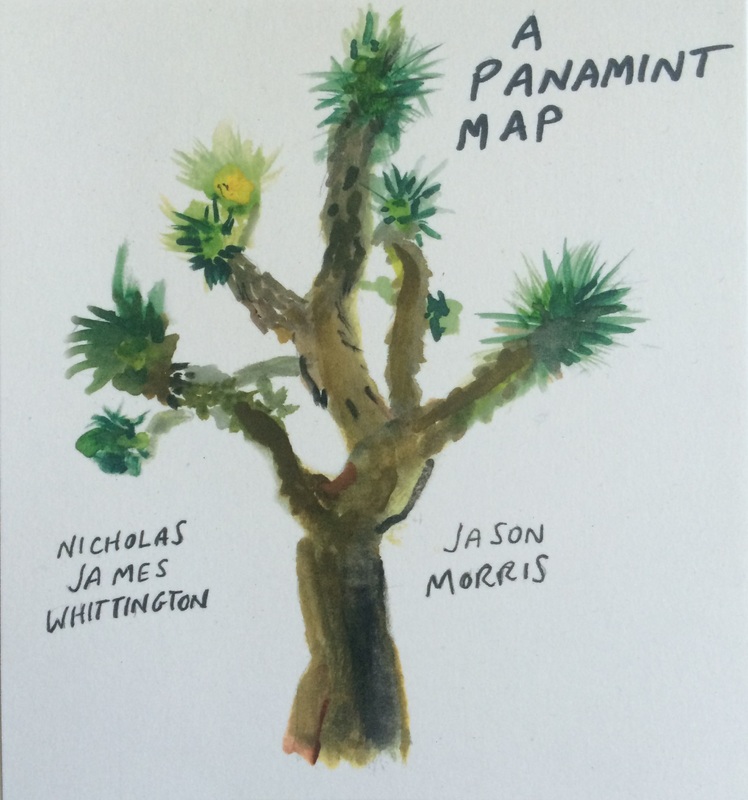 He’s done a water color for the front, a nicely gnarled Joshua tree. 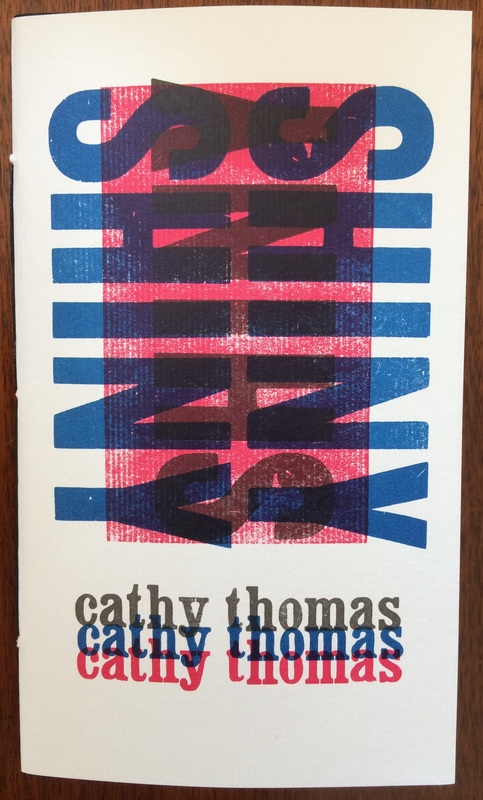 These are the first two in a new series of pamphlets called Slug.Docs, featuring work by candidates in the Creative/Critical concentration of the doctoral program in Literature at UC Santa Cruz. The titles are entirely coincidental. 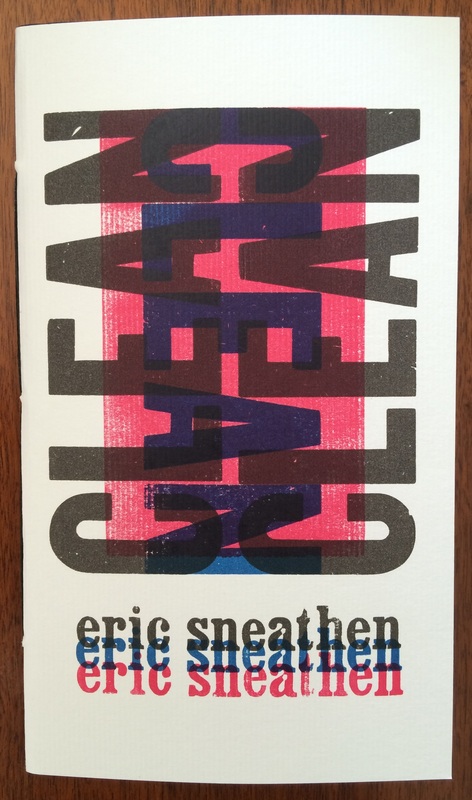 Clean by Eric Sneathen; and Shiny by Cathy Thomas. 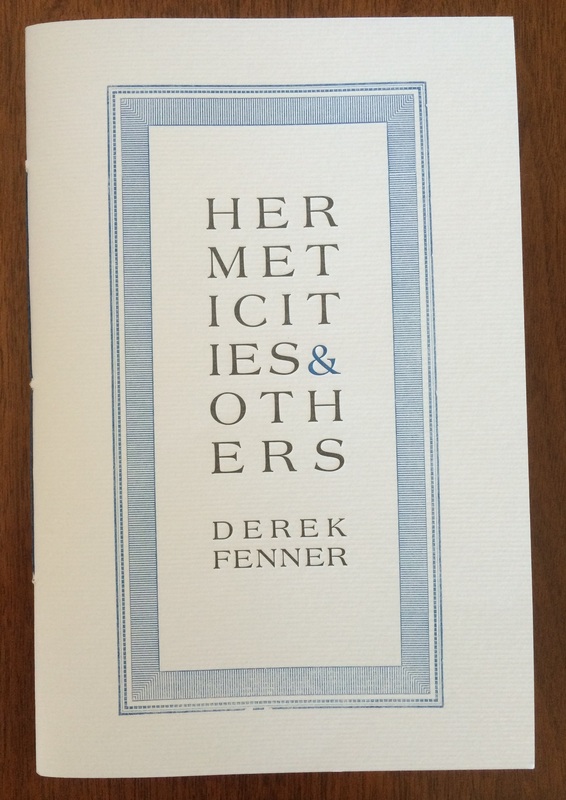 I also printed covers for another small chapbook of poems by Eric Sneathen, I feel like an allien (sic), which he is putting out in a small edition himself, and covers for a larger chapbook by Derek Fenner, Hermeticities & Others, which he is putting out in a larger edition under his Bootstrap imprint.